Herbal teas are not only enjoyable to drink, they are also a great source of vitamins and minerals to help boost overall well-being. This cold and flu season try a cup of tea for immune system support each day. The following three herbs are some of the best to have as herbal infusions to boost your immune health with nutrients and other beneficial compounds. They are also some of the safest for general use. If you are looking for a great natural source of vitamin C that the body can easily absorb, look no further than rose hips, the fruit and seeds of the Dog Rose. 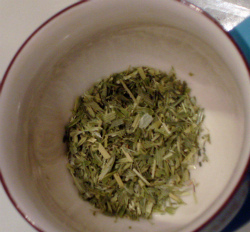 This herb is often blended into herbal teas to add nutrition, and a mildly sweet, floral flavor. It is not only one of the best sources of vitamin C, which is known to help reduce the duration of the common cold when taken with zinc according to the Annals of Nutrition and Metabolism, but it also supplies the body with B vitamins, vitamin E, iron, magnesium, potassium and zinc. While a cup of rose hip tea is safe for general consumption, talk to your doctor before taking any herbs if you have a medical condition, are pregnant, or are nursing. Reducing stress is one way to help support immune function, according to the Cleveland Clinic non-profit academic medical center. At the same time, periods of stress, anxiety, and depression can be harmful to your health. There are many ways to manage stress, from yoga and breathing techniques to counseling. Drinking an herbal tea that will nourish the nervous system will not solve your problems, but it can help the physical body cope with psychological problems that can affect your immune health. Oat straw tea is a wonderfully nourishing tea for immune system health, and for overall well-being. Like rose hips, oat straw is a great source of nutrients, with B vitamins, vitamin A, zinc, calcium, magnesium, and iron. It restores nerves and eases nervousness, insomnia, and mild depression. Drink a cup of oat straw tea before bed for a more restful sleep and to prepare your body and mind for the day ahead. Echinacea is an excellent anti-microbial herb. Drinking a cup of this herbal tea can help to defend the body from bacterial and viral infections. According to the National Center for Complementary Medicine, research has been mixed on echinacea, with some studies demonstrating the herbs ability to treat upper respiratory infections and others showing no benefit. A cup of echinacea tea is considered to be safe, although people who are allergic to ragweed may also be allergic to echinacea. Try this herbal tea, oat straw, or rose hips to help support your immune system and protect your body from some of the infections that people around you may be catching. While herbal medicine can enhance well-being, always check with your doctor first to see what herbs are right for you.